Dr. Yi Zhang, Naturopathic Doctor, Graduated from the prestigious Canadian College of Naturopathic Medicine and received a Doctorate of Naturopathic Medicine. Naturopathic Medicine is a medicine without using drugs to prevent and treat diseases; the modalities include diet and clinical nutrition, lifestyle or behavioral change, Traditional Chinese Medicine (Acupuncture and Herbs), western botanical medicine, homeopath, physical medicine, hydrotherapy, etc. 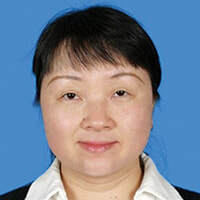 Dr. Zhang, N.D., is a Medical Doctor from China with nearly 20 years clinical experience of working in a general hospital as a pediatrician and allergist. She specialized in diagnosis and treatment of various diseases in children. Currently, Dr. Zhang, N.D. is a general practitioner who provides Naturopathic Medicine health care service for both adult and children. She treats various diseases which include: Pain management, Digestive Disorders (GERD, IBS, constipation and food intolerances), Anxiety and Stress Management, Respiratory Disorders (allergies, cold and flu), Skin Conditions (eczema, acne and urticaria), Women’s health(irregular menstruation, menopause and infertility), Endocrine Conditions (hyperthyroidism, hypothyroidism and diabetes), Cardiovascular Diseases (cholesterol issue and high blood pressure), Chronic Fatigue, Sleep Disturbance, Weight Management, etc. The goal of Dr. Zhang, N.D. is to bridge Naturopathic Medicine and Conventional Medicine in order to help people achieve a balanced healing of the body, emotion, mind, and even the spirit.